So, this upcoming June, 2015, my husband and I will be married for (gulp) 29 years! I'm shaking my head as I write that. All the cliches are true, there are times when it seems like a long slog, but then you come through the other side and are better for it. There are still things about him that drive me bonkers, and I know he'd say the same, but at the end of the day, can't imagine my world without him. At this point, you're wondering what this Hallmark sentimentality has to do with Nachos! Here's the scoop, most Fridays, for the past 29 years, my husband and I have shared a plate of nachos and a movie. It's a fairly sacrosanct night. 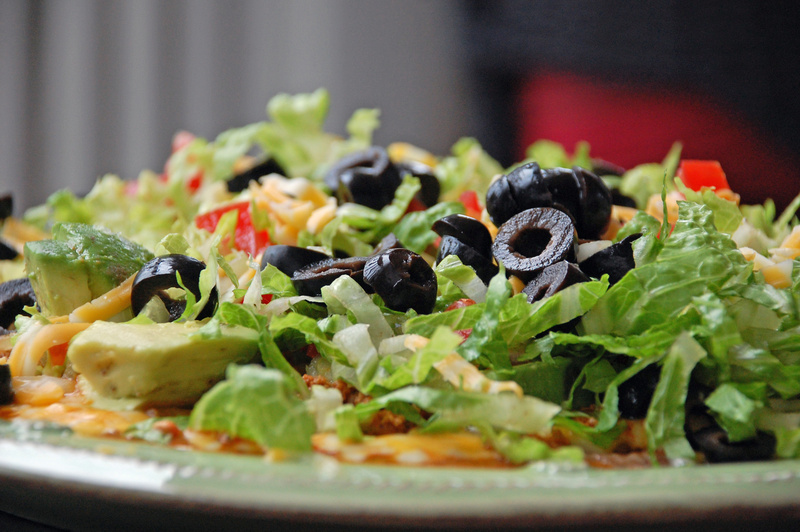 Most of our friends and family know of ‘Nacho Night'. 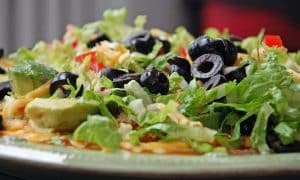 My kids LOVE ‘Nacho Night' because they are in command of their own dinner that night. It has evolved over the past 29 somewhat, but the fundamentals are still intact. When we started this as newlyweds, we would have to hit the Blockbuster store on the way home from work (how's that for a trip in the Wayback Machine!). We would each pick a movie, head home and start the nachos. Now Terry really doesn't like to cook, but it seems he was destined to be the Nacho Guru. He slowly took over the Nacho fixing responsibility to the point that this is really his domain. No complaints from me! It's a nice respite from cooking the other 6 nights of the week. When the babes came around, we worked them into the routine and they would be in bed early-ish on Friday Nights. We would fix them a special meal, send them on their way with books, toys or whatever, put the monitor on and begin the festivities. Now my 15- and 18-year olds fix their own dinner and do their own thing and we choose a movie on Netflix from the comfort of our couch. 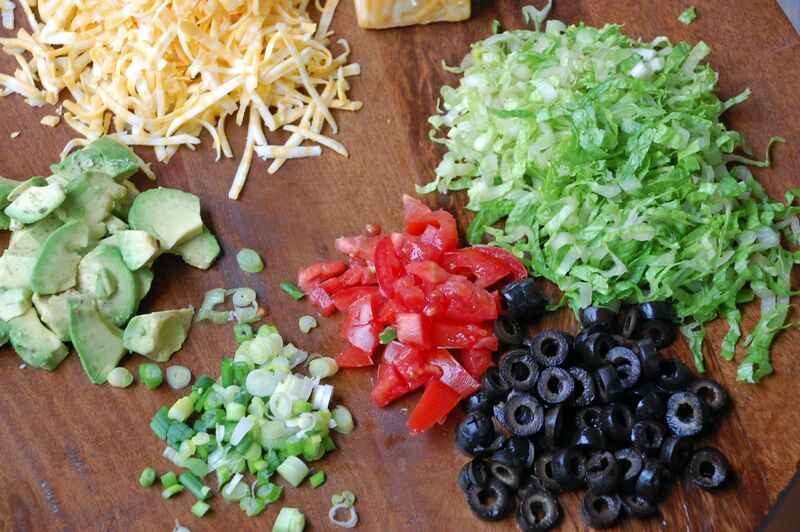 The other component of Nacho Night that has evolved over the past 29 years are some of the ingredients. We used to make our nachos with store bought taco seasoning, store bought refried beans and ground beef. As we've gotten older and wiser about processed foods (and our blood pressure and cholesterol readings began to creep up) we've altered our Friday Night fare to be healthier. We now use ground turkey or chicken instead of ground beef, we make our own taco seasoning (thereby greatly reducing the salt), we make our own refried beans (reducing salt and the need for a BPA lined can) and we buy baked tortilla chips instead of the fried ones. I'd be flat out lying to you if I told you I didn't miss the full-fatted, sodium- laden chips, but I am absolutely good with the rest of our concessions. If using cold refried beans: spread refried beans on the bottom of a microwave safe plate and cook on high for 1 minute. Take out of microwave and stir beans well, then spread them flat again. cook on high in microwave for another 1 1/2 minute. If you are using hot refried beans,: spread on the bottom of microwave safe plate. Sprinkle lettuce, tomato, scallions, avocado and black olives over meat. Serve with corn chips. We have found through our 29 years of experimentation that the round or triangular chips work better than the scoops. Utz makes a Baked Tortilla Chip that is our go to chip because of the reduced fat. Thanks again for spending a few minutes of your busy day with me today. Know that you are appreciated and that I welcome each and every comment that comes my way. If you want to make sure you don’t miss future content, pop your email in the beige box up on the right or click here. I usually send out 2-3 emails a week, so I won’t inundate your inbox…believe me, I’m sensitive to an overflowing email inbox!